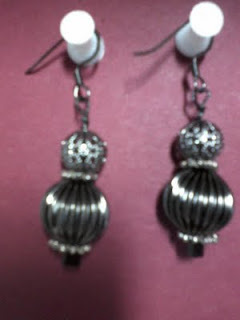 Here are the earrings to go with the necklace I made. Sorry no bracelet. The earrings are so cute! Now I'll have to hop around to find and see the necklace!! !